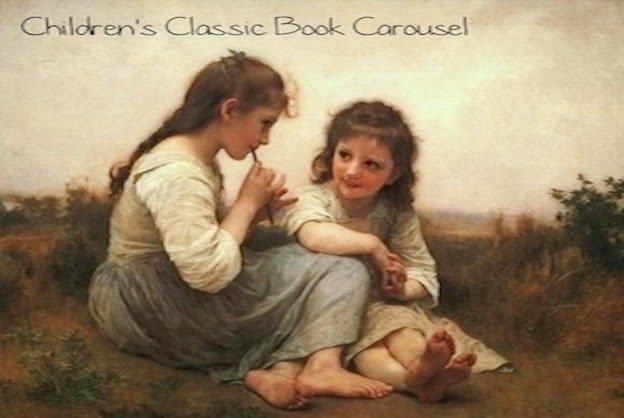 Children’s Classic Book Carousel will not only include reviews of classic children’s books; I also plan to include some basic literary analysis techniques for those readers who may homeschool their children, or perhaps parents who simply want to have some basic guidance to encourage deeper reading. Children’s Classic Book Carousel won’t be as active as Classical Carousel, but I will attempt to regularly post reviews as I get around to reading the various and sundry children’s classics that inhabit my bookshelves at home. 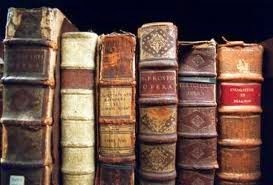 So please visit my new blog to discover some old, well-loved children’s classics and many others that may be new to you. You’ll be very welcome! Well-known for his epic novel, Les Miserables, Victor Hugo was also a poet. He produced volumes of poetry including, Les Orientales, Les Feuilles d’Automne, Les Chants du Créspecule, Les Voix Intérieures, and Les Rayons et Les Ombres. Of course, this poem of Hugo’s that I’ve chosen is very month appropriate. I’m getting good at this! One only half-sleeps with a transparent slumber. 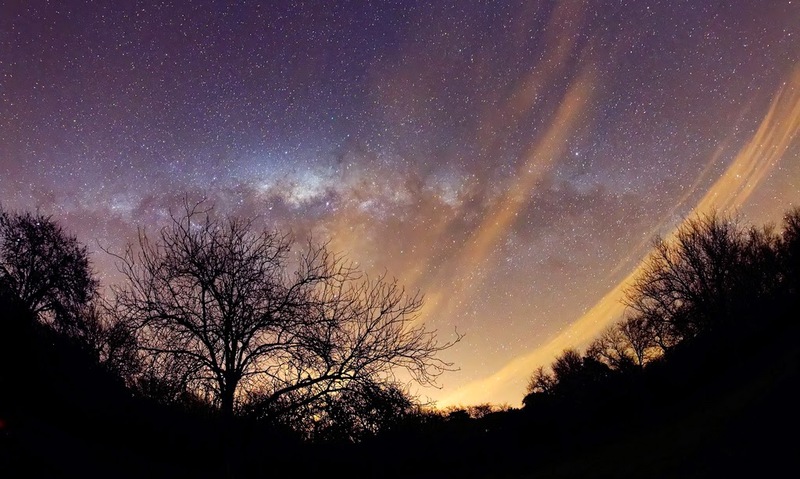 Seems to be wandering low in the sky all night. So, you see, one more book and I’m complete! If only I could say that I was doing as well on all my challenges. 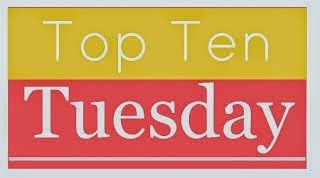 My History Challenge is sadly lacking books, my TBR Pile Challenge is struggling and my Shakespeare Challenge …….? Well, the less said, the better. At least when I clear off this challenge I can concentrate on some others. 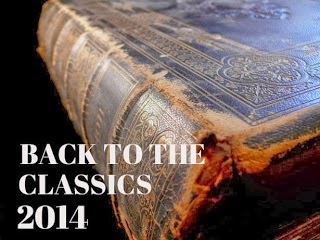 Have you joined Back To the Classics 2014 Challenge and, if so, how are you progressing? If you didn’t join the challenge, how many classics have you read this year? 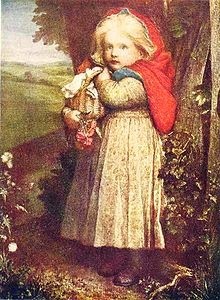 Even though this story is a version by Jacob and Wilhelm Grimm, the tale of Little Red Riding Hood has existed possibly since before the 10th century, and no one knows definitively where it originated. There is evidence of it appearing in France in the 10th century, and Italy in the 14th century. Not only do numerous versions exist but they occur in widely different areas: La finta nonna (The False Grandmother) in Italy, The Story of Grandmother and even in Oriental tales like Grandaunt Tiger. Although the first written version appeared in the 17th century (by Charles Perrault), scholars surmise that the tale did indeed originate in the 10th or 11th century in Europe and somehow spread to Asia. This German version, was somewhat different from the anglicized versions that I’d read as a child. 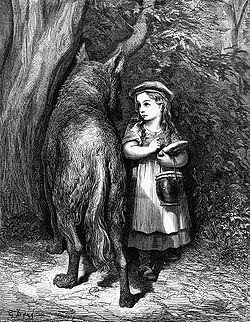 In this version, the wolf eats both the grandmother and Little Red Riding Hood, whereupon a huntsman arrives, cuts open the wolf’s stomach to free them and puts stones inside him before he sews him up. The wolf awakes and dies from the weight of the stones. 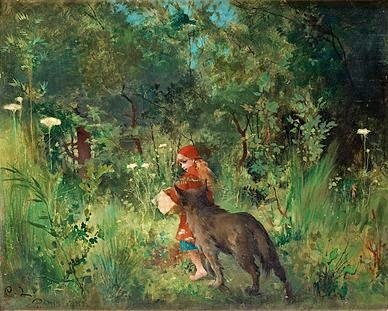 This was similar to the versions that I read as a child, yet this present version ended with a slight twist: Little Red Riding Hood meets another Wolf one day, who tries to lure her off the path but, with the wisdom of her first experience, she refuses and arrives at Grandmother’s house in one piece. The wolf follows, climbs on the roof of the cottage, and plans to eat Little Red Riding Hood when she emerges to make her journey home. Slyly the Grandmother instructs Little Red Riding Hood to put the water she had used to boil sausages in the trough outside. The wolf, attracted by the wonderful smell, slides off the roof and drowns in the trough. Other tidier versions I’ve read as an adult, have Grandmother merely hiding in the closet to escape the wolf, or the huntsman rescuing Little Red Riding Hood before she is eaten. Call me bloodthirsty, but I don’t care much for these sanitized versions. These stories were meant to inculcate caution in children and the thought of being eaten would be much more effective than the possibility of having a little scare before you are rescued. I imagine, during these times, a properly instilled caution could be the difference between life and death. What fun to read Little Red Riding Hood in German! Now I won’t be so intimidated to tackle another German tale! If you found yourself in Hell and then were offered a chance to leave and spend an eternity in Heaven, you’d jump at it, wouldn’t you? …….. Or would you …….?? The Great Divorce tells of a journey of souls from the grey town, which we soon see represents Hell, to a wide open space of meadows, rivers and mountains. Yet when the people disembark they are dismayed. They now appears as Ghosts and all the vegetation is dense and tough in a way that makes movement difficult and, at times, dangerous. And who are these shining Solid People coming towards them, and what do they want? Full of joy and laughter, it appears that they only wish for the “Ghosts” to shed their prejudices and grudges and self-absorption and “rights”, to accept help and rescue from their troubles. ‘Come to the mountain’, they say, yet most are unable to, so firmly have these detrimental traits taken root within them, to the exclusion of anything good. 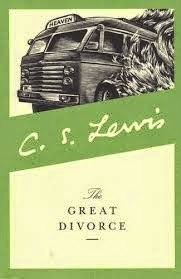 The Great Divorce is Lewis’ The Divine Comedy. 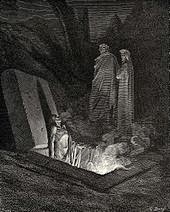 As Dante is the narrator of The Divine Comedy, so too, the narrator in The Great Divorce is Lewis himself. George MacDonald, the well-known author of The Princess and the Goblin, Phantastes, and At The Back of the North Wind, a man whose writings had a profound affect on Lewis, serves as his Virgil, a guide to bring him understanding of Heaven and similarly, the grey town of Hell. Yet while analogous in structure, the Hell of The Great Divorce is very different than that of Dante’s Hell. It is not a world of men trapped in flaming tombs, immersed in rivers of blood and fire, whipped by demons or eaten by foul creatures. In The Great Divorce, Hell looks surprisingly like Earth, but a corruption of earth, holding only the negative components of greed, envy, self-worship, revenge, jealously, grudges, etc. The setting mirrors the emotions, being bleak, desolate and lacking any human goodness. Rain and dingy twilight permeate the town, and a perpetual feeling of hopelessness is ever-present. Yet while the souls of this dreary place, recognize intellectually what they live in, and practically understand their actions, they have become drowned in them through excuses, trends, weakness of character, reliance on intellect only, and have become blind to their effects. In life, they allowed their choices and actions to carry them in the wrong direction and now have little desire to escape. They have chosen Hell and are unable to conceive of anything outside of it. Similar to the dwarves in the The Last Battle, ignorance has overcome them and they cannot escape it. Lewis’ presentation of Hell is not only easily understandable, it is quite fascinating. Lewis’ Hell is not a Hell for people. Each “person” there, is there of their own choice, and their descent into it has been a gradual process, and not because of one big sin. Each of their choices has progressively dehumanized them; it is not that they are beyond salvation, rather that there is no shred of humanness left to save. Lewis also emphasizes the smallness of Hell by having the bus, not actually travel but grow, sprouting from a small crack in the soil to emerge in Heaven. Hell, to Lewis is a tiny place and anything that lives there is already withered away. 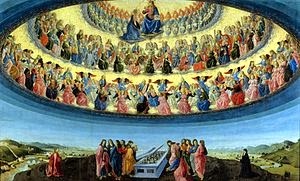 On the other hand, the Bright or Solid People of Heaven did not get there through moral perfection. 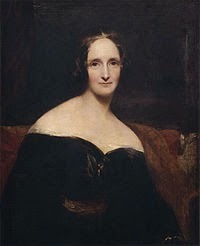 One had been a murderer and confessed to doing worse than that, while another was hardly known on Earth but the people and animals that came into her presence were enriched by her love and charity. And again, we have another echo from The Last Battle, that Heaven is much more real than earth, exemplified by the tough grass, the hard rivers and terrain that the Ghosts experience and would only have a change of perception if they chose to accept the invitation to become more real. While Lewis states in his preface that this book is an answer to William Blakes’ The Marriage of Heaven and Hell, he makes if very clear that it is not a story that is meant to be taken in a literal sense; like his Narnia Chronicles, it is a supposition. More, it is a work that explores human biases, perceptions and attitudes that either allow us to or prevent us from getting closer to God. Yes, I went out of my comfort zone! The Big Sleep is not a book I would usually choose to read, but since it’s on my Guardian 1000 list and a group on Goodreads was reading it for June, I decided to take the plunge. Initially, I was rather apprehensive because I had read The Maltese Falcon a few years ago and didn’t enjoy it. Yet within a few pages, I was completely immersed in this story. Philip Marlowe; private detective; wise guy. L.A. in the late 1930s. A millionaire with two wild, uncontrollable daughters. A missing son-in-law. Can Marlowe navigate the perilous world of high-society, which takes him into the shady dens of gangsters, gambling and murder, to extract truth from a myriad of lies? Curiously, while this is a mystery novel, Chandler often seems more concerned with the setting and characters than the minute details of the plot. Scenes are depicted with meticulous detail, and the characters each have personalities that radiate out, like the beacon of a lighthouse cutting through the mist. Their charm, or helplessness, or audacity, or coquettishness is distinct and compelling. 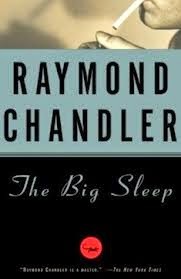 In fact, the producer of the movie, The Big Sleep, contacted Chandler to remind him that in the novel, he had never revealed who had killed the chauffeur and asked for the identity of the murderer. Chandler replied that he had no idea. I really admired Philip Marlowe’s brash confidence, his raw sense of humour and his composure in dangerous situations. 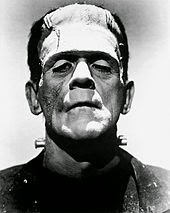 Often impolitic and impertinent, nevertheless his understanding of human nature and the complexity of people’s personalities, made him a lively, compelling character. With this work, Chandler managed to avoid the cliche 1930s male detective and invented a character and a book worth reading. Very enjoyable! What are your best books of the year? 7. Mrs. Dalloway: I was pondering over whether to include this book. While I wouldn’t say it was one of my favourite reads, it has potential. 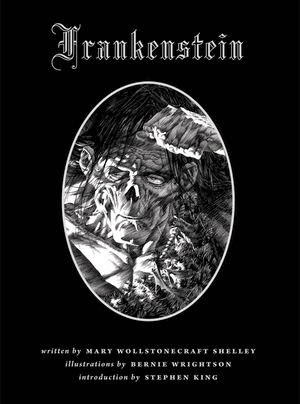 I really need to read it again to get more appreciation for it. 6. Son Excellence, Eugène Rougon: so interesting to learn all about French politics under the Second Empire. Again, Zola’s wonderful descriptive powers made the journey into this story delightful! 5. The Old Man and the Sea: It redeemed my opinion of Hemingway and made me willing to try more of his reads. Very enjoyable! 4. The Warden: I had no idea Trollope was so much fun! I’m going to read the whole Barset Chronicles series. 3. 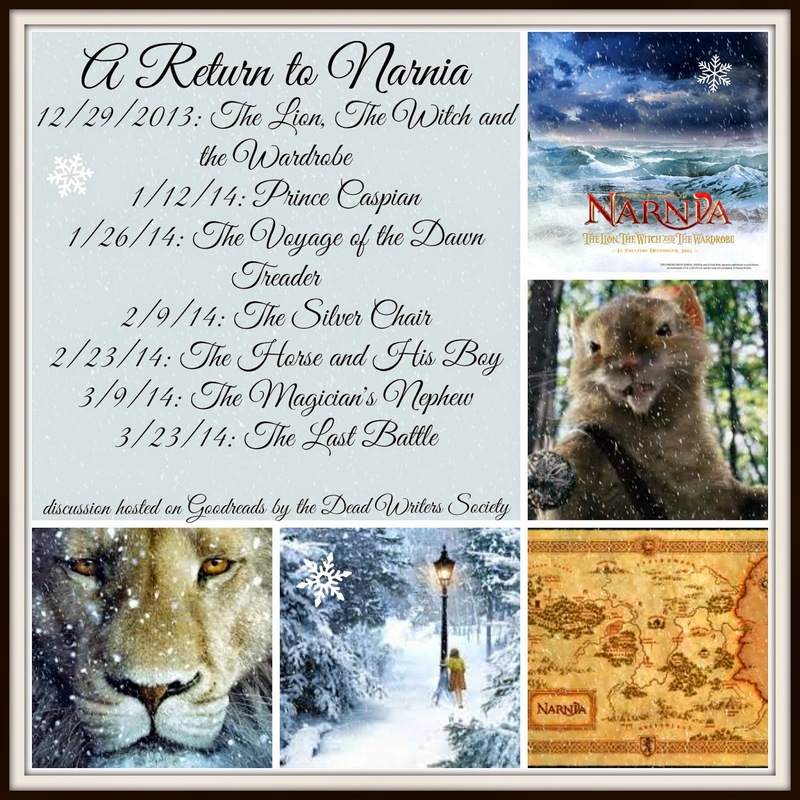 The Chronicles of Narnia: I’d read it as a child, but as an adult I was blown away by the various scholarly themes imbedded in it ……… Pascal, Plato, the chronicles had them all. 2. The Odyssey: a re-read and a read-along. I truly gained a much greater love for this poem reading it the second time. 1. Paradise Lost: I’d been scared of this poem for years but I decided to plunge in with a read-along and what a plunge! Milton’s use of the English language is masterfully stunning; I looked forward to every section read and every post on my blog. Simple amazing! Seven books was all I could come up with. I’ve realized that I had a much better “line-up” at the beginning of last year. I’m assuming that was simply coincidence, however I’m glad that I’ve posted on this topic because it will help me be more choosy in my reads for the rest of the year. What about you? What are your favourite books for the year? Have you had good luck or bad luck with your choices? A dark curse is upon Thebes. Blighted cattle and plants cover the land, the women are barren and a deadly plague creeps throughout the kingdom, sparing no one in its fatal grasp. Creon, brother-in-law to King Oedipus, reveals that the curse placed on the kingdom is a result of the murder of its last king, Laius, and until the perpetrator is found, there is no hope of relief from their present woes. Oedipus, king of Thebes, calls the wisest man to the palace, the blind prophet, Teiresias, to discover the identity of the vile culprit. Yet through wise Teiresias and the shepherds of Laius, it is revealed that Oedipus was unwittingly the killer, slaying the king on a road to Thebes, in self-defence and completely unaware of his victim’s identity. Unbeknownst to Oedipus, he was fulfilling a prior prophecy, that he would kill his father and marry his mother. And true to prophecy, Oedipus, after freeing Thebes from a different curse by solving the riddle of the Sphinx, became the new king of Thebes and married the current queen, Jocasta, also his mother. 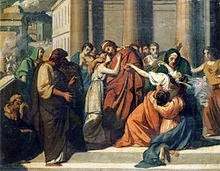 Upon hearing the fulfillment of the curse, a stunned and horrified Oedipus flees, yet soon finds Jocasta has hanged herself with shame and, grabbing the brooches from her garments, dashes his eyes out until blood flows in rivers down his face. 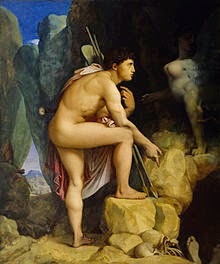 At the behest of Oedipus, Creon banishes him from the city. “What can I see to love? What greeting can touch my ears with joy? Take me away, and haste —– to a place out of the way! The state of blindness and the character of Oedipus are closely linked. Instead of listening to the wisdom of the blind prophet, Teiresias, Oedipus refuses to believe him, therefore choosing blindness over knowledge. Later in the play, when he accepts the knowledge of his actions, he physically blinds himself, which echoes his emotional blindness earlier in the story. Can one commit a crime with complete lack of awareness and still be responsible for the repercussions of his actions? Is the harshness of Oedipus’ penalty and the suffering he endures from the consequences, a justifiable outcome given the circumstances? Why does no one in the kingdom disagree with the punishment of Oedipus, and appear more shocked by the unintentional sins than the maiming he inflicts upon himself? Apparently Oedipus Rex, while first chronologically of the three Theban plays, is in fact the second in written order. I will enjoy trying to find out the common threads between the three, and if I feel there are any inconsistencies due to the fact they were composed out of order. 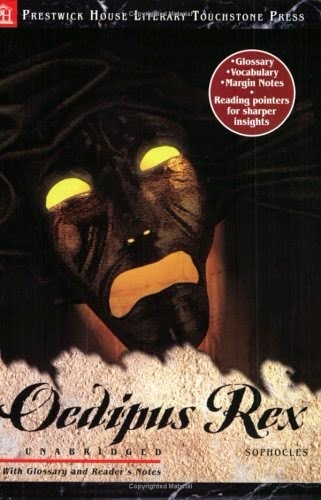 The next one on the schedule is Oedipus at Colonus where we meet Oedipus in exile. Through both Carola at Brilliant Years and Plethora of Books, I found a list of questions that relate to reading habits. Since I have about 10 reviews on the go and haven’t finished any yet, I thought I would take the time to answer a few of the questions. You really want to know? Yikes! Bleak House, The Screwtape Letters, Money (L’Argent), The Decameron, Augustine’s Confessions, the Oedips trilogy, Barchester Towers, Red Land Black Land, Plato’s Meno, and The History of the Ancient World. And there are others but they are on hold until I get some of the listed ones cleared up. How embarrassing! 4. What books do you have on request at the library? The French Market Cookbook, Atomic Accidents, Capital in the Twenty-First Century, and many others (see answer to 3b & c). 5. What do you have checked out from the library? Classics of Western Philosophy, Backyard Bountry, Bleak House, The Big Sleep and many others (see answer to 3b & c). I have a basic Kindle but I would choose a book over an e-reader any day. 7. Do you read one book at a time or several at once. I used to read one book at a time but now I read several. I like reading this way but sometimes I can be extreme with my “several.” Moderation is a good policy. 8. Have your reading habits changed since you started a blog. Well, I have less time to read, but I’m probably being more focussed when reading, because I know that I’ll have to review the book afterwards. So there are positives and negatives, as in anything. 9. Least favourite book that you’ve read this year (so far). Can I choose three? Wuthering Heights, Madame Bovary and Once and Future King. I think I can make a good case for my dislike of Wuthering Heights; I have searched high and low through personal reviews and scholastic reviews and no one has been able to convey to me anything concrete that I can appreciate about this book. I wanted to like Madame Bovary, but I just didn’t, and the longer the book sits with me, the less I like it. Once and Future King ……….. honestly, I think T.H. White was a little weird quirky …… okay, a lot quirky. Some of his writing and portrayals were quite bizarre and I didn’t think he did justice to the original. 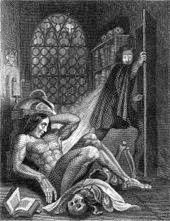 That said, I’m only ¼ through the original Le Morte, so perhaps I can’t justify that last comment yet. I am going to hold him responsible for my inability to enjoy Le Morte d’Arthur, however. Once and Future King, I think, just put me in a weird head-space for it. 10. Favourite book that you’ve read this year. I don’t even have to think about the answer. Paradise Lost. Hands down the best, absolutely. Just brilliant. An honourable mention goes to The Odyssey, one of my favourites. This current reading gave me more of an appreciation for it. 11. 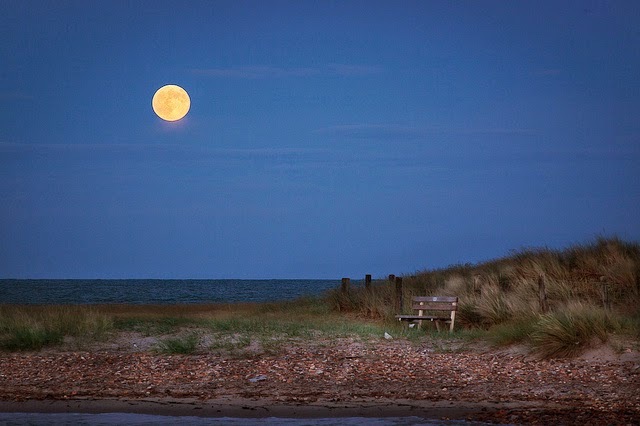 What is your favourite place to read? I like reading in the hammock on the deck or on the beach when there is absolutely no one else there. Do I get to read in these places? No. I’m usually being interrupted or I’m so busy that I have to sneak a few pages here or there. Sigh! I can’t wait for summer and more time to read! 12. Do you ever dog-ear your books or write in their margins? **** Shocked gasp! **** Dog-earing is taboo!! However, I do jot notes in the margins of my paperbacks. I used to be horrified at this practice too, but have since learned that having a conversation with the book is more important to understanding it than having it look pretty. However, I don’t write in hardcovers (that is shocking) and some more favoured paperbacks I keep pristine and get another copy to write in. 13. What is your favourite language to read in? Well, I’m only proficient enough to read in English but I have high hopes of building my French skills to be able to read in that language too. And while checking out some Spanish books for my Language Freak Summer Challenge, I don’t think it would take too much work to be able to read at a basic level in Spanish. Of course, all these hopes require time, which I don’t have much of now. I like, of course, the classics. I also enjoy reading non-fiction history and poetry (particularly epic poetry). 15. Genre that you rarely read but wish you did. Probably drama. I have read some Shakespeare but lately have been reading through some Greek tragedy. I’d like to explore more of this genre. John Adams by David McCullough. I also enjoyed Thomas Jefferson, the Art of Power by Jon Meacham and The Seven Story Mountain by Thomas Merton. With some other bloggers, I’m starting a Well-Educated Mind Biography Project on June 1st. I can’t wait to acquaint myself with more works in this genre. 18. Most intimidating book that you ever read. Probably Dante’s The Divine Comedy. It got tougher as I went along. I felt that this first time I familiarized myself with all the historical allusions. The next time I’ll be able to dig even deeper and I’m looking forward to it. Well, I haven’t had much poetry exposure but I’d say Homer. And even with more exposure I’m not sure if that choice would change. He is the master of crafting the epic poem! 20. Favourite fictional character – male. 21. Favourite fictional character – female. I was going to say Lily Bart from Wharton’s The House of Mirth but I think I more liked the way Wharton portrayed, her instead of the character herself. So I’m going to go with Cassandra from Dodie Smith’s I Capture the Castle and also Ruth from Gaskell’s book of the same name. The first is hilarious and has a spunkiness that is delightful; the latter is an example of patient long-suffering but with a quiet dignity that is an example to those around her. 22. Name a book that you could not/would not finish. The Name of the Rose by Umberto Eco. I will go back to it at some point but at the time, I was too irritated with it to continue. 23. Name a book that made you angry. A New Lifetime Reading Plan. I expected it to give summaries of various classic novels and a plan to read them, however the authors used the book as a personal platform to inject their modern opinions and judgement on classic literature. Not only that, their comments while flip, often bordered on rudeness. The book was a complete waste of money. 24. Are there any books/authors you’ve been avoiding? I tend to avoid Thomas Hardy because he’s depressing but I do plan to read through his novels. I need to begin in a happy frame of mind though. I also have avoided Ulysses and other Joyce novels, Faulkner, Maugham, and to a lesser extent Henry James. With all, I will try to read some of their works ,but I’m certainly not stampeding to do so. 25. Favourite guilt-free, pleasure reading? Probably children’s novels. Mostly pre-1970s. I do like health and nutrition books so I’ll read those too, from time to time.